2. Increase heat to medium-high. Add beef and cook 8 to 10 minutes or until browned, breaking up meat with side of wooden spoon. Stir in tomato paste and cook 1 minute. Stir in chiles, salsa and water, and heat to simmering. Reduce heat to medium-low. Cover and cook 10 minutes, stirring occasionally. Stir in beans and salt. 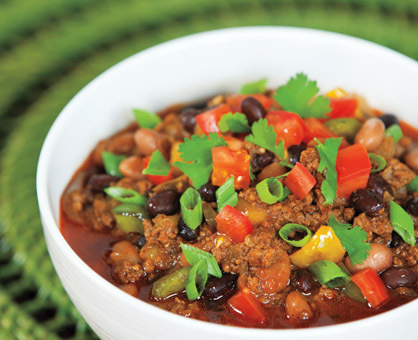 If chili seems thick, add up to 1/2 cup additional water. Cook 5 minutes. 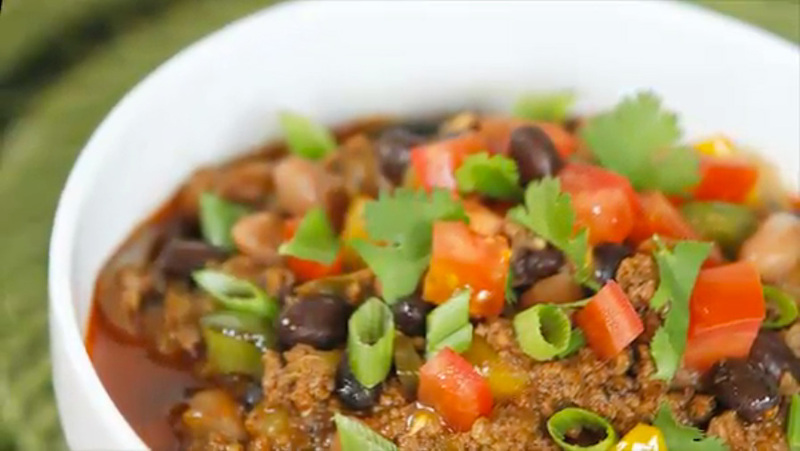 Serve chili topped with green onions, tomatoes and/or cilantro, if desired.